Educational qualification required for Bank exams? Re: Am i eligible for Bank PO being in B.Tech? Qualification required for it? Sorry,You are not eligible to apply for Bank Probationary Officers Exams because you are pursuing B.Tech. You can eligible for Bank Probationary Officers Jobs after completed your B.Tech. 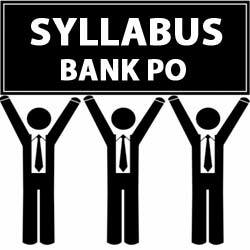 Any Graduate in any discipline from recognized University with minimum pass marks can eligible to apply for All Public Sector Banks Probationary Officers Exam. So dear aspirant,You have to get the qualification of Degree that is your B.Tech after that ,you can eligible to apply for all Bank Probationary Officers Exam. Now you can eligible for Bank Clerical Cadre Posts. 1.You should be graduate from a recognized university with at least 55%(50% in case of SC/ST/OBC) or post-graduate from a recognized university. 5.Age relaxation is same .. Percentage may change.Depends on bank.You can apply for po only when you complete your graduation not before graduation. Banks allow only those candidates who have completed their graduation.So,first you complete your graduation then apply for that. You can also apply for Information technology officer & Technical officer.These 2 posts comes under the category of specialist officer.But after the graduation.An engineering student can apply for specialist officer.Specialist officer rank is higher then PO.So,once you complete your graduation will be eligible to apply for po & specialist officer. After completing my B.Tech,will I have to sit in any examination before applying for the post of Specialist officer in banks? A complete graduate degree in any discipline with 60% marks (5% relaxation is available to the candidate belonging to SC/ST). and friend your graduation is not complete, so you are not eligible to apply in Bank PO exam Now. after completing your degree you can apply for Bank PO Vacancy. But, you can apply in the banking sector for Clerical vacancy on the behalf of 10+2, if you want to. you must be graduate with atleast 65% marks in any bachelor degree froma ny recognized univeristy. so after qualify the written test with the good score marks you have to call for the interview in the respective banks according to your score.